Summary: Here is the transcript of our December 14, 2018, chat with atrial fibrillation experts Dr. Oussama Wazni and Dr. Walid Saliba of the Cleveland Clinic answering your most pressing afib questions. Atrial fibrillation (AF or AFib) is the most common heart rhythm abnormality that starts in the atria. Approximately 2.2 million people in America and 4.5 million in the European Union have paroxysmal or persistent AF. Oussama Wazni, MD and Walid Saliba, MD answer your questions about atrial fibrillation. rkudla: If patient has asymptomatic persistent AFib, is an antiarrhythmic drug trial recommended to get into normal sinus rhythm and avoid the increased risk of heart failure due to AFib? Walid Saliba, MD: A trial of antiarrhythmic drug to restore normal rhythm might be helpful to see if you do have improved symptoms that you are not aware of. Furthermore, if truly asymptomatic, then control of the heart rate is important to avoid developmental heart failure. Jsob: have had afib for several years. Heart is enlarged 5 cm. doc says nothing that he is willing to do. Will implant pace maker if heart rate slows.is there anything we can do? I am 78. Walid Saliba, MD: That depends on symptoms and how many symptoms you have. One might try antiarrhythmic medication or even ablation, but the likelihood of maintaining normal rhythm will not be high in the setting of a large atrium and chronicity of AF. TheDuke: I have paroxysmal AFIB, and have been prescribed Eliquis. What initial steps do you follow to initiate AFIB treatment-is medication the preferred early stage treatment? Oussama Wazni, MD: Anti arrhythmic drugs are usually first line therapy for symptomatic atrial fibrillation. Oussama Wazni, MD: Both - it is possible that both may be true. enough: I take metoprolol succinate er 75 mg daily for atrial flutter. My electrophysiologist is recommending an ablation, but I am very concerned about the risks involved. What are the down sides of not getting an ablation and staying on the metoprolol and eliquis indefinitely? I'm thinking "a bird in hand is worth two in the bush", at least I'm avoiding life changing complications by being content with my present regime= a bird in hand. Also, can yoga and other holistic treatments help in reducing my atrial flutter? Oussama Wazni, MD: If you are content then there is no need to do anything. However, you should keep a close eye on rate control and left ventricular function. Yoga has been shown in one study to help symptoms but will not prevent recurrence of atrial flutter. Plinkster: Have read several articles on acupuncture being as or more successful than antiarrhythmic drugs. Any thought on this? Walid Saliba, MD: There are some case reports of acupuncture helping symptoms of AFib. However, this has not been shown consistently in the scientific manner to decrease the burden of AFib in the long run. ohmlaw: 68, male, permanent afib since 6/2013; no ablations, no anti-arrhythmic drugs; no rate control because resting HR is in 40's; no palpitations or tachycardia; symptom free except when exercising (get sob); severely enlarged RA and RV and LV probably due to 35+ years of marathon running and skiing history. Warfarin and lisinopril daily; latest Echo measured EF at 45%; normal weight and BP. What next? Try cardioversion plus anti-arrhythmic? Standard PVI? Mini-maze? Do nothing until I feel worse? Oussama Wazni, MD: do nothing and get cardiac MRI to better assess LV size and function. Ginamarie: My Afib occurs about every 2-3 weeks, lasting for 6-10 hours. It takes me 2-4 days to get my usual energy back after one of these attacks. I take Metoprolol Succinate ER24hr 25mg. My internist feels this is not appropriate for me because of fatigue issues. The cardiologist upon hearing this, wants me to switch to Flecainide. I am very wary of the side effects of this drug. I am 88 years old, blood pressure is normal range and have no other health issues. Am I being foolish to reject this change of treatment? Oussama Wazni, MD: Given the symptoms you are describing adding flecainide is reasonable as long as you are monitored closely. Another option is to pursue ablation. Walid Saliba, MD: The decrease in treatment effectiveness reflects the progressive nature of AF as a disease, while ablation has better success if performed early, there is recurrence of AF in most patients several years down the road. The aggressiveness of the therapy will depend on the associated symptoms at that point in time. We hope to come up with newer treatment options, including risk factor modifications to reduce the recurrent pattern of AF. richjd: Male, 75 years old. Good health, controlled hypertension. Diagnosed with persistent Afib during annual physical last February. Essentially no symptoms other than those detected with tests and a stethoscope. Afib controlled with an anti-coagulant and a beta blocker. I have made the recommended life style changes; continued exercise, stopped drinking completely, switched to decaf coffee. Should I consider ablation to treat the Afib? I realize curing the Afib may not allow me to discontinue the anti-coagulant which would be nice. Since 6 months i am free from all side effects that i faced with medication and living normal without symptoms. Your opinion please what to do. dstrausb1: Hello. I have a bout of Atrial Fibrillation about every six weeks. Usually starts in the middle of the night (I am on CPAP) and lasts anywhere from a couple of hours to eight or ten, more often the longer. Oussama Wazni, MD: this depends on whether you are symptomatic with your afib. If so, you can consider ablation or anti arrhythmic drugs. colo157: When Medications like Flecanide begin to not work as well, Should you try different kinds of meds, or look to ablation? It seems as though women are kept on meds than men. Oussama Wazni, MD: Both are good options. clwhiting: I have atrial fibrillation and am currently on Eliquis. I’m experiencing extreme fatigue. the arthritis pain. Is CBD oil contraindicated with Eliquis? Oussama Wazni, MD: Fatigue is from the afib. I am not familiar with the CBD. Honda: I am having a few short break through Afib episodes with flecainide. Does that mean I should no longer be taking that drug? Oussama Wazni, MD: it depends on whether this is better than what you used to experience when not taking the flecainide. If these current symptoms are unacceptable to you - you may consider taking another drug or considering ablation. rkudla: Is an antiarrhythmic drug trial not recommended if the patient has been in persistent AFib for over a year because of low likelihood of achieving normal sinus rhythm? Mark1d1: How do we get our CHADS-VASC score? gary h: If my ChadVas score were to indicate a stroke risk of say 3% in the next year, does that mean that I have a 30% chance of a stroke in the next decade? Oussama Wazni, MD: Yes - that is correct. netmouse: 1. For ChadVas 2, standard of care is an anticoagulant. Do you decide otherwise if no family history, low burden, time without afib (years), good life style? 2. Some EPs no longer consider gender. Is female, 70, score of 2, a reasonable candidate to stop the drug? 3. I had 1 afib event with racing heart 2 years ago. ER tests had very low potassium (at 3.5 low of range), history shows it is always in mid-range. Is it possible low potassium caused afib? And/or dehydration from the hot summer and/or an 80 mg corticosteroid shot about a month before? 4. After my 1 event, a 2-week monitor a year ago showed no issues. I am female, age range 65 to 74. No family history or other concerns. I am getting different advice. My EP wants me to stay on anticoagulant as it is standard of care, no data for people like me. 2 EPs say option is to stop, monitor daily with Kardia. Your opinion is? Indygirl4: Is it safe to just live with Afib and only take blood thinners? Oussama Wazni, MD: Yes as long as the heart rate is controlled and periodic assessment of left ventricular dysfunction is performed. Kirk: I have permanent AF. I cannot take anticoagulants and medications have stopped working. What do you think is the best and safest minimally invasive procedure to prevent strokes? I am leaning toward the AtriClip. What do you think of that for stroke prevention? Oussama Wazni, MD: Left atrial appendage closure with atriclip is reasonable however if you can take short term anticoagulation you can consider watchman. We would need to learn more about why you cannot take blood thinners. I had another AF episode in November lasted about 1 hour. The doctor mentioned ablation and wanted me to continue present medications and return 3 months. Is aspirin enough at this point? Walid Saliba, MD: This depends on other factors, such as your age, history of stroke, history of heart failure, among others. We do recommend anti-coagulation before an ablation procedure. 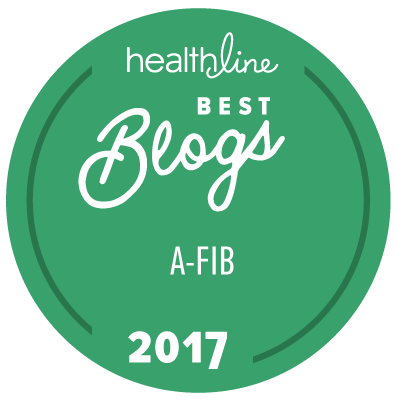 Beatafib: I had a successful ablation one year ago with no AFIB since. I am taking aspirin, but I have read studies detailing the possible consequences of taking aspirin daily. I have also read where aspirin serves no benefit to combat a clot in the Left Atrial Appendage. My question is why should I continue to take aspirin when its purpose is related to people with stents, arterial blockages, or people who have previously had a stroke, and not to AFIB patients? Oussama Wazni, MD: if your CHADS-VASC is low there is no need for anticoagulation and if that is the case you can also stop taking aspirin as long as it’s not needed for other reasons. Platon: I am 87 years male. The first AF (paroxysmal) was in 2013 due to high BP and stress, treated with Seloken (metoprolol).Since then I regularly take Xarelto (20 mg/day).Paroxysmal AF repeated during the years at different intervals, and usually treated by Seloken, never by electroconversion. A biventricular pacemaker was implanted last year and the dose of metoprolol was increased to 100 mg twice. BP is regulated by medications.Dronedarone (Multaq) was prescribed four months earlier but it was taken off some days later because of heavy dyspnea. For 2018 I experienced twice atrial flutter. Cardizem 60 mg once/day was added to metoprolol. Now I am with sinus rhythm. I do not want to try amiodarone due to its potential side effects. My visits at cardiologist are at least once a year when ECG and Echo are done. My questions are: Is an antidote to xarelto available? Is it necessary to take any other antiarrhythmic drug? Should I be considered for an ablation procedure? gary h: How critical is it to deal with the left atrial appendage (LAA) when having an ablation for AFIB? What would be the pros and cons of using either the Watchman or the LARIAT devices? Is it better to just isolate the LAA via RF rather than use one of these devices? Oussama Wazni, MD: isolated the LAA does nothing to decrease risk of clotting in LAA. If the LAA is isolated to decrease the risk of recurrence of afib then LAA closure may be considered with a device. rkudla: Is it true that with rate control the risk of heart failure due solely to AFib is low? Walid Saliba, MD: Good rate control reduces the risk of worsening heart failure in AF, however, further worsening in heart function can occur despite adequate rate control and studies have shown improvement in heart function in patients with heart failure and AF despite having had good rate control. trefaller: If you can't feel afib, is there a heart rate that you should stay below? Walid Saliba, MD: It is recommended that good heart rate control indicates a resting heart rate of 90-100 beats per minute, with avoiding peak heart rates during exercise of 140 beats per minute. gary h: With persistent afib and taking tikosyn and xarelto, how do you determine appropriate pulse rate for cardio exercise? Walid Saliba, MD: This depends if you are in normal rhythm or atrial fibrillation. If you are in AF, then tikosyn is not working and you should reevaluate the treatment. If you are in normal rhythm, then you follow the normograms for heart rate. Geraldine: Are blood thinners a necessity after a successful ablation? Oussama Wazni, MD: this depends on the risk of stroke based on the CHADS-VASC score. Munchkins Dad: I have paroxysmal AFib for about 11 years (now 71 yr. male). Managed currently with Multaq, metoprolol (50 mg), Eliquis, and pravastatin (20 mg). Since 2015, I developed chronic kidney disease with current creatinine 1.7 (trending higher) and eGFR of 40 (trending lower). I have read about the comorbidity of AFib and CKD. Are there physicians there who specializes in the management of persons with both problems? I am concerned about adverse effects of meds on kidneys. Recently experienced SOB which resulted in increased dose of metoproplol and pending appointments with my cardiologist for further evaluation. What do you recommend to persons like me? Is it time to consider ablation treatment? Oussama Wazni, MD: if you are continuing to have afib despite medical therapy, an ablation can be considered. If you want to see a kidney specialist as well that can be arranged if you would like to be evaluated here. Oussama Wazni, MD: if you are not symptomatic there is no need to pursue ablation at this point. Ldlcleveland : 72 year old healthy female with pacs, pvcs for 25 years. Flutter ablation in 2005 - went into afib...paroxysmal for years, then more often, now every other day go into afib. Have tried most drugs and failed Tikosyn, long QT and low pulse. Now daily 150 mg Flecainide, 10 Eliquis, 120 diltiazem, 2 ativan, 3 melatonin, and 25 metoprolol to help get out of high rate afib - usually get out in 4-9 hours but then back in 24-48 hours later. Exercise, doing errands, etc. puts me into afib. When I take the metoprolol on top of other drugs my BP is 74/44. What is a better choice? Choosing to stay in afib, with rate lowering drugs and getting heart failure as a result? Or having PVI ablation and the associated risks and long term effects of heart failure (atrium damage?) and the fact that ablation is no longer a cure, but a remission and I will need more I am told. I am very symptomatic and in great pain with high rate afib and the pvcs, pacs. Drs say hard to find pacs pvcs to ablate. Oussama Wazni, MD: if you are very symptomatic an ablation is indicated. marksmom52: I have an IVC filter. Am I still a candidate for an ablation for my afib? Also, I have been on 4 different drugs for arrhythmia and they all made me sick. If I can't have an ablation, how do I manage my afib long term? I'm too young to feel as bad as I do most of the time. I'm 66. ES-MKE: What do you think about ablations for Afib and other arrhythmias that don’t affect my lifestyle? I’m 62, male, 5’11,” 135, have Afib, flutter, and probably AVNRT. Episodes last anywhere from a few minutes to a few hours and occur on average about every other day. Episodes don’t make me tired, lightheaded, anxious, etc. I take Multaq twice a day, which has reduced the length of episodes, but the frequency is increasing. No other CHADS risk factors and no lifestyle contributions to Afib except stress. I am told that I am not a candidate for beta blockers because I have Raynaud’s syndrome. I have so far avoided ablation because I’m not sure the likely benefits outweigh the risks. Oussama Wazni, MD: ablation is indicated for improvement for quality of life. If you are satisfied with your status right now there is no reason to consider ablation at this time. cwfarrington: Is it possible to be worse off after a first ablation? Diagnosed 2008 with lone afib, long-standing persistent. My EP recommended no treatment other than anticoagulant and to wait for advances in mapping and ablation procedures. I followed EP’s recommendation for 8 years, including to keep exercising at <140 HR (per EP). I began experiencing angina 2 years ago, and tried afib treatments: rate control with metoprolol, then rhythm control with sotalol and cardioversion. These were unsuccessful. I still had infrequent angina, exercise at <140 became a challenge, and ejection fraction dropped to 41%, so I had an atrial ablation done July 2018 by TCAI. My post-ablation has been marked by persistent flu-like chest tightness (what is this?). NSR in the first several months has now returned to afib despite a regimen on Sotalol. I am skeptical about a second ‘touch up’ ablation – thinking it could make things worse. Is this a possibility? Oussama Wazni, MD: your symptoms of chest tightness and flu like symptoms should be evaluated by CT scan to look for pulmonary vein stenosis. Crabman: how much risk am I in with the Cry ablation where they penetrate the septum to do the left side? Walid Saliba, MD: This is now considered standard ablation therapy for AF. Risks involved include perforation, stroke, and pulmonary vein injury, all of which amount to 1 or 2 percent. aralica: If during the Mapping there are no signals coming from the Pulmonary veins, why ablate them? Walid Saliba, MD: Ablation of AF is anatomic and does not necessarily affected by whether you are in atrial fibrillation or you are in normal rhythm. If there is no electrical activity around the pulmonary vein, this normally indicates an advanced disease stage with scarring that would limit the effectiveness of an ablation strategy. Rizzosarge: 44 yrs. Old. 3.5 mo. in since diagnosis paroxysmal afib, Flecainide 100mg AM, 50mg PM no afib 2 months. Woke up today 5 AM and been in afib since (7 hours) took additional 50mg per doctors’ orders. I get very dizzy / sick when in afib. I have 13 year old quadruplets and a very busy stressful life. Strongly considering ablation. My EP does and recommends cryoablation. What are other options for ablation? Should my younger age be a factor in this decision? This entire experience has debilitated me from the afib itself to the side effects from the Flecainide to the stress and anxiety of the afib coming back or being stuck permanently in afib. Oussama Wazni, MD: cryo ablation or radio frequency ablation are both reasonable. You should use the approach your doctor is most comfortable with. Crabman: Is cryo ablation still the procedure for paroxysmal Afib when Flecanide in ineffective. Been dealing with PATs and Afib since I was 11. My Afib is preceded by Tachycardia which causes black outs and some pain. Every time it happens I can't help thinking “this is the one that takes me out". Walid Saliba, MD: Ablation (cryo or RF) is the treatment of choice if antiarrhythmic drug is ineffective, however, because you have tachycardia and AF since you were 11, it is important to rule out the possibility of regular SVT degenerating into AF. This can be done with an electrophysiologic study that can be done at the time of the ablation. jons: Have studies been performed on the long-term success of ablation? Walid Saliba, MD: Yes, there is a long term recurrence rate of around 6 percent per year beyond 5 years following the ablation. jons: Once the ablation is complete would a plant based diet increase the likelihood of success in the short and long term? Walid Saliba, MD: Not that we know of, but overall health maintenance with exercise, improved cardiovascular fitness, and improved dietary habits overall may improve the success of the procedure on the long term. NanaNana5: I have had 2 ablations for Afib & Aflutter. Currently on metoprolol and flecainde which keeps most of symptoms at bay. Would really like to be off meds but Afib returns with a vengeance. My Dr doesn't want to do another ablation-says he doesn't do 3rd one. Should I be looking for another opinion? Westpalmbeach: I am a 65 yr old female with one unsuccessful ablation. As a result of the ablation I had a surgical clip closure injury to my femoral vein requiring surgical repair. With no access on the right side what are my options for a second ablation? Oussama Wazni, MD: Ablation can be performed from the left side if in fact the right femoral vein is inaccessible. dawg: I am age 60, diag w/ persistent afib age 57. 3 cardioversions lasted about 1 year each. Had first ablation 8 mos ago. Sinus rhythm since w/ pac's. Have taken sotalol 80 mgs twice per day since original dx. Primary EP wants me to continue sotalol. Second opinion EP says discontinue sotalol and if Afib recurs than do second ablation. (I had urgent pericardiocentesis procedure done successfully following ablation next day w/ no further problems.) Should I continue sotalol? Having had possible early tamponade, should I hesitate a second ablation if needed in future? Can I stop Eliquis twice per day now? (Chads score is 0 or 1-minor mitral regurgitation). Oussama Wazni, MD: both approaches are reasonable. A previous tamponade does not cause increased risk for another procedure. panole: I am a 68 year old male. For many years I was an avid runner. I was diagnosed with Afib 2 years ago. Since then I had the cardioversion procedure in Sept 2017 and catheter ablation in Jan 2018. Neither procedure worked permanently and a recent week long monitor showed I was in Afib 100% of the time.I am currently on 250 mg Tikosyn twice a day and still experiencing symptoms of Afib. What can be done from here? Maura5: I had an RF ablation for paroxysmal AF in July this year. Before the procedure I had episodes of AF every couple of weeks. Since the ablation I am experiencing AF most days for between 3-6 hours. I am now taking Amiodarone 200mg daily and verapamil when needed but still the AF continues. I am scheduled for my second ablation in January. I am desperate to know how my condition could have worsened since the procedure and has not improved even minimally. I can’t seem to get a definitive answer and I’m worried that the next one could worsen it still. I would be so grateful for any advice. Oussama Wazni, MD: Afib is a progressive disease and what you describe could happen even without an ablation - unless what you are describing is actually atrial flutter which could be a side effect or complication from the procedure. A second ablation seems reasonable. Katara: My Dr. says he freezes the tissue when he performs ablations for afib. What is your opinion on this? Once you have beginning stage of congestive heart disease, are you still a good candidate for ablation for afib? Oussama Wazni, MD: Cryo ablation (freezing) is an effective way of doing ablation. Early stages of heart failure is not a contraindication for getting an ablation. Walid Saliba, MD: No effects of your prior surgery on the planned ablation. aarontcollie: I was diagnosed with Afib back in March. Since then I've had 8-10 episodes. Most instances converted back on their own after an hour or so. I had to take the "pill in the pocket" the other times to convert back to normal rhythm after 2-3 hours. Two months ago, I was put on flecainide for rhythm control and small dose of metoprolol to control rate in case AFib occurs. My BPM now consistently runs in mid-40's. I do walk/jog marathons and half marathons regularly. I have several dizzy spells and brief moments of disorientation daily. Doctor says I shouldn't worry about low BPM and to continue meds. Is there anything I can do to alleviate the symptoms when they occur? Should I look into other treatments? It's very troublesome to live this way. Oussama Wazni, MD: You may be experiencing post conversion pauses that can contribute to your symptoms of dizziness and disorientation. Afib ablation can help alleviate these symptoms.
? I am out of town on 12/14. Is there a way to see a transcript of the chat? Oussama Wazni, MD: If you pass out - have someone call 911. Cnorwalk: Since I was diagnosed with high blood pressure and afib two years ago, and prescribed metoprolol, flecainide (100mg twice a day), xarelto, lisinopril, and levothyroxine( for thyroid), I have pulsating feelings like I can feel the blood flowing throughout my body. Sometimes it feels almost like vibrations. My doctors and pharmacist have determined it is not my meds. My cardiologist has changed my meds, one at a time, to see if they were the cause and no luck. I changed from Eliquis to Xarelto, from flecainide to propafenone and multaq and then back to flecainide which seemed to stop my periodic afib the best. Ever heard of this? Walid Saliba, MD: There are some cardiac conditions that can make the patient more aware of their heart beat, this includes thyroid disorder, valvular disease (leakage) among others. If this were checked for, then I wouldn't be concerned. Mark1d1: If one has very low testosterone, I have read that there is recent evidence that low-T can cause AFIB -- true? Oussama Wazni, MD: we are not aware that low T or taking testosterone is related to afib. and afib resulting from extreme physical activity such as marathon running, biking, skydiving, etc? Walid Saliba, MD: There is an increased incidence of AF in athletes that is not just related to adrenaline but to other factors as well, including stress on the left atrium, as well as hormonal factors. At this point, these patients are treated the same way as other individuals with AF. mickm: I was diagnosed with Lyme disease in 2014. The protocol then was 10 days of Doxycyclene. I just was retested last week and the 1.10 or less level showed I am at 2.4. I only have 4 of the active markers and have recently been diagnosed with Afib. I know that one of the causes of Afib can be from ongoing presence of Lyme in one’s system. Because of the high level (2.4) of Lyme in my system should I be back on an extended doxycycline regimen? Oussama Wazni, MD: ongoing inflammation that can be related to Lyme disease can be a trigger for afib - although i would refer to your infectious disease doc regarding ongoing antibiotics. Oussama Wazni, MD: losing weight will increase the likelihood of maintaining normal rhythm after an ablation. myron58: A person with AFib what can they do to help prevent it from occurring? It seems it happens when it feels like it, I am on blood thinner. It happens every one to two years, at that time I have to be converted. Oussama Wazni, MD: Afib can be sporadic without identifiable triggers. tricia18: If you have sleep apnea and cannot tolerate the equipment, will the untreated sleep apnea have any impact on Afib? Walid Saliba, MD: Untreated sleep apnea decreases the effectiveness of Atrial Fibrillation treatment be it anti-arrhythmic medication or ablation. I suggest you have the equipment checked and adjusted specifically to your needs. netmouse: I had 1 afib event with racing heart 2+ years ago. ER tests had potassium at very bottom of range (3.5), perhaps caused by mid-summer sweaty night and an 80 mg corticosteroid shot about a month before. My potassium history is always mid-range. Could this be a trigger for a one-time afib event, as thought by the Arthritis Foundation and the Rotterdam study in JAMA? Walid Saliba, MD: Low potassium can facilitate the occurrence of AF in patients who are prone to develop this arrhythmia. This suggests that your predisposition to developing AF does exist that can occur with other stressors and clinical scenarios. It is best to be aware of any palpitations and bring it up to medical attention, should it occur. 10srx: What information does a one month event monitor produce that can be useful in Treating Afib? Oussama Wazni, MD: event monitor can be used to assess the burden and rate control of atrial fibrillation. circusman: How common is occasional atrial fib after triple by-pass and is amiodarone the go-to drug for controlling? Oussama Wazni, MD: afib is very common shortly after coronary artery bypass. Amiodarone can be used when symptomatic. Mark1d1: What is difference please between afib and aflutter? Frank13: I am 47, 6'1 220 lbs. My heart rate rises above 100 after any minor exercise, even walking to my car. My thyroid and sleep apnea are well controlled. My HR can stay at 100+ for hours, and I feel awful. I take extra Bystolic, but my BP can run low. A friend suggests I might have "inappropriate sinus tachycardia". My doctors are not concerned. What else can I do? Walid Saliba, MD: You have to have a monitor to determine the nature of the fast heartbeat. If indeed you have IST, there are some other medications that one can try (ivabradine, for example). Ablation should be left as a very last resort if at all. Mark1d1: What is the process to get a second opinion at Cleveland Clinic and going there for second ablation? Oussama Wazni, MD: We have two ways. You can send your records for possible one trip evaluation and ablation - or you can make an appointment to come here and discuss options - we are happy to see you. 866-289-6911 is the number for the resource center. 216-444-6697 is the number for appointments. Mellanie True Hills: On behalf of the Afib patient community, I’d like to thank Dr. Saliba and Dr. Wazni for answering our questions today, and the team at the Cleveland Clinic for arranging this live chat.